A beautiful, funny and surprising story of family and love, perfect for fans of The Rosie Project, David Nicholls’ Us and Nick Hornby’s About a Boy. MEET THIRTY SOMETHING DAD, ALEX… He loves his wife Jody, but has forgotten how to show it. He loves his son Sam, but doesn't understand him. Something has to change. And he needs to start with himself. MEET EIGHT-YEAR-OLD SAM… To him the world is a puzzle he can't solve on his own. 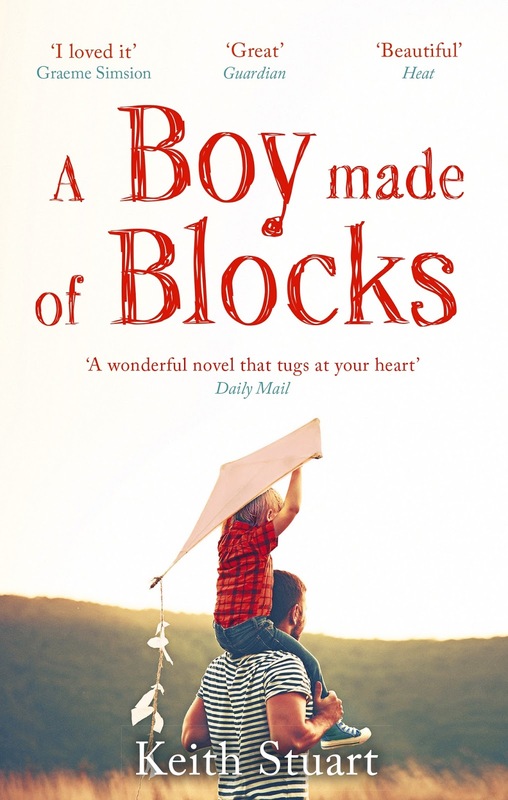 A Boy Made of Blocks is a beautiful, funny and heartwarming story of family and love inspired by the author’s own experiences with his autistic son. No amount of words will ever do this book justice. I simply can't stop thinking or talking about it and, although it's only a few weeks into the year, I can guarantee that A Boy Made of Blocks will appear in my top reads of 2017. This is a book that very quietly worked its way into my heart. I was upset and disappointed in Alex at first - how could he leave his wife, Jody, to cope on her own and how could he walk away from his beautiful son, Sam? Having never experienced autism, it's probably easy for me to say. Getting to know Alex, it's what he does - run away from things. So does his sister, Emma, for that matter - planning her next adventure around the world to avoid spending time at home. Alex and Emma's brother, George, died when he was just a child and it's certainly something that Alex has never gotten over. I don't think Alex even realises just how much George's death still impacts on his family life. Alex doesn't know how to communicate or connect with his autistic son, Sam. Then one day Sam discovers the computer game Minecraft and Alex buys a copy to learn how to play it. Alex is having a little play around when he notices Sam online. Hearing Sam's voice through the headphones in 'Sam and Daddy's world' left me with an ache in my heart and a huge grin on my face. As father and son build their castle they forge a connection that Alex would never have dreamed of, culminating in a trip to London for a Minecraft competition that left me in floods of tears. 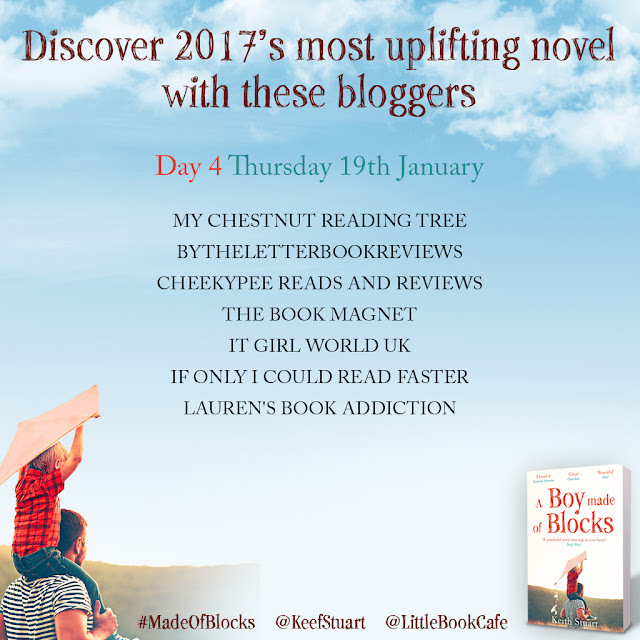 I would recommend that A Boy Made of Blocks is published with waterproof pages; I've cried at books before but never to this extent. A couple of chapters from the end, I had to put the book down to dry my eyes and that's the only good reason to put this book down at all. 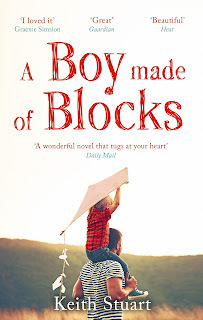 It's an absolutely amazing story - think of any word to describe something magnificent, flawless and breathtaking and it goes part way towards describing the deeply moving triumph that is A Boy Made of Blocks. Do not hesitate, just go out and buy this book - Ok, GO!